He was a pupil of elder brother William, he was a marine & landscape painter & teacher in oil & watercolour. He lived in Paris until 1844. He was appointed Professor of Drawing in the Royal Military Academy at Addiscombe in 1855, and Sub-Professor of Drawing at Woolwich in 1861. 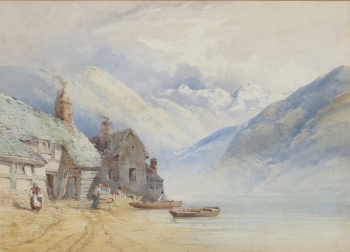 He excelled in marine painting, and exhibited annually at the Old Watercolour Society (352 works) & at the Royal Academy, British Institution, Royal Society of British Artists & New Watercolour Society.